Last month, Google announced a new suite of tools for its latest Android platform to help users better manage their screen time. The features included enhanced do not disturb functionality and time limits on apps. 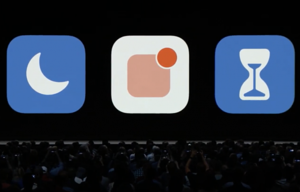 On Monday, Apple, at its Worldwide Developer Conference, followed the lead of Google and announced a series of new controls that will allow iOS users to monitor how much time they spend on devices, set time limits on app usage, and control the distraction of notifications. These updates will be available in the release of iOS 12. The Do Not Disturb feature is targeted to help individuals who tend to look at their phone at night or are distracted by excessive notifications. The feature allows users to configure their phones so that it will not show notifications during certain hours. For example, a user could prevent the display of notifications at night so they will not be tempted to engage with their phone if they check it in the middle of the night. It also includes a new morning wakeup screen that is similarly bare of notifications so users can gently ease into their day. If a user feels turning off all notifications during certain hours is using an axe instead of a scalpel to solve a problem, Apple is also introducing better ways to manage notifications. For example, Siri, based on apps you no longer use, will recommend turning certain notifications off. Also, iOS 12 will support grouped notifications, which means notifications will be grouped by topic and thread in addition to being grouped by app. This will allow users to triage all grouped notifications (e.g., form social media) with a single swipe. Similar to Google, Apple will provide features that will allow users to manage the amount of time they spend in certain apps. 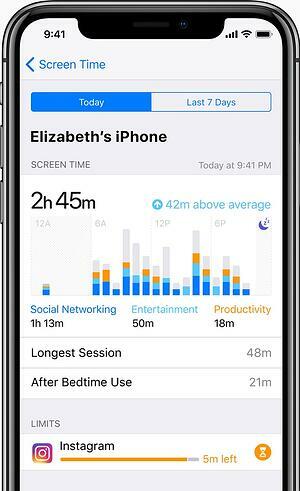 This will include weekly activity reports that show a breakdown of how much time a user spends in apps as well as which apps are sending the most notifications. Users can also set limits on the amount of time they can spend in apps. Users who activate this feature will receive an alert as they approach a time limit and a “Times Up” screen when the limit is hit. Apple noted that users will be able to extend time if necessary. Large technology companies continue to release features to improve digital well-being, and while these features will not solve the adverse effects of technology, they are steps in the right direction. It is unclear how employee wellness programs will be able to incorporate new digital well-being features into existing programs but educating employees on the resources available to them is a good starting place.